One Egyptian was killed and three others were injured in a bomb attack against a Coptic Orthodox church in Libya’s Mesrata City late Saturday. Pope Timothy Beshara Adly of Libya’s Egyptian Orthodox Church reported the bombing to the Egyptian embassy early Sunday, according to state-run news agency MENA. Adly reported that two unknown assailants had thrown a handmade grenade at the church’s service centre late Saturday. 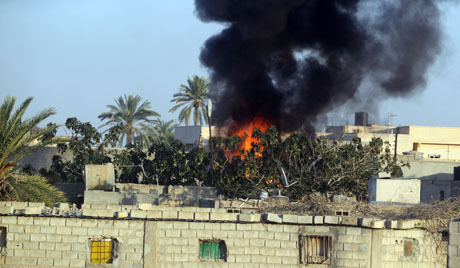 Libyan authorities are still investigating the attack. On New Year’s eve in 2011, Egypt witnessed one of the most violent and shocking attacks against its Christian population, when the Two Saints Coptic Orthodox church was bombed in Alexandria leaving twenty three people dead.